My Bowden hot end parts arrived I was very excited to add it onto the carriage. So I did a sort of fit test with my X carriage and the new hot end and I realized that there was nothing to hold the hot end in place because the wade extruder would sit on top of it and that this is what keeps it in place. I had to come up with an alternative method to hold it in place. With the Wade extruder pieces removed I could see that the shaped plate was holding the throat of the heat sink quite securely but there was a gap that allowed it to shift forward and back. After some thought I rotated this piece so it faced inwards on my carriage then to hold it in place I printed a key or plug. 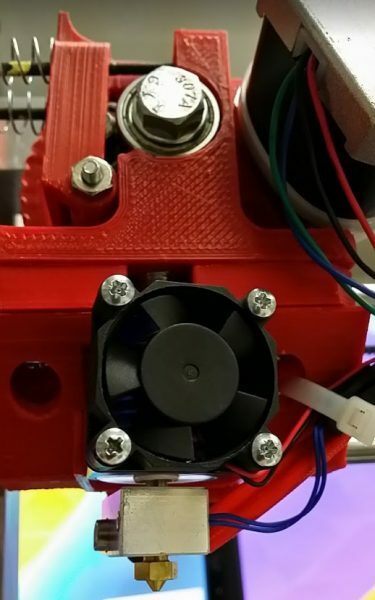 Then I printed another piece that would go around the top of the heat sink and clamp everything down together. Of course I printed these on my Fabrikator Mini. It took quite a bit of measuring of the different gaps but the key fits perfectly in the space to enclose the whole of the heatsink. So now the heatsink does not move forward and back anymore and the key or plug is now held in place by the flat piece that clamps everything down. 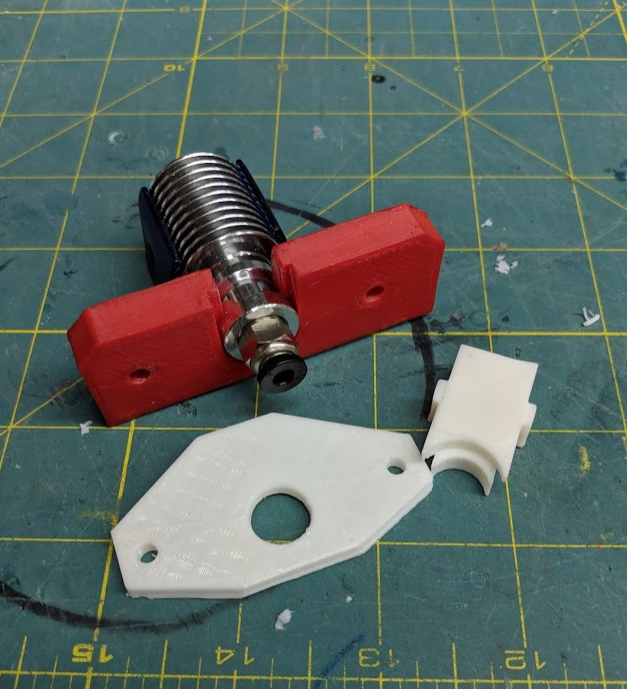 I have not tested this while printing, so it might still fail when it is put to use and also this could be a temporary fix until I can design something different. extruder was keeping the E3D parts all in place.